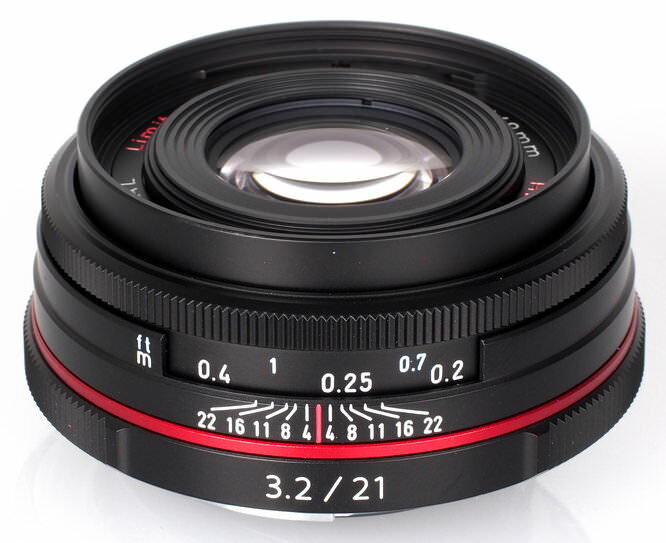 Gary Wolstenholme reviews the compact Pentax HD Pentax-DA 21mm Limited lens for Pentax DSLRs. 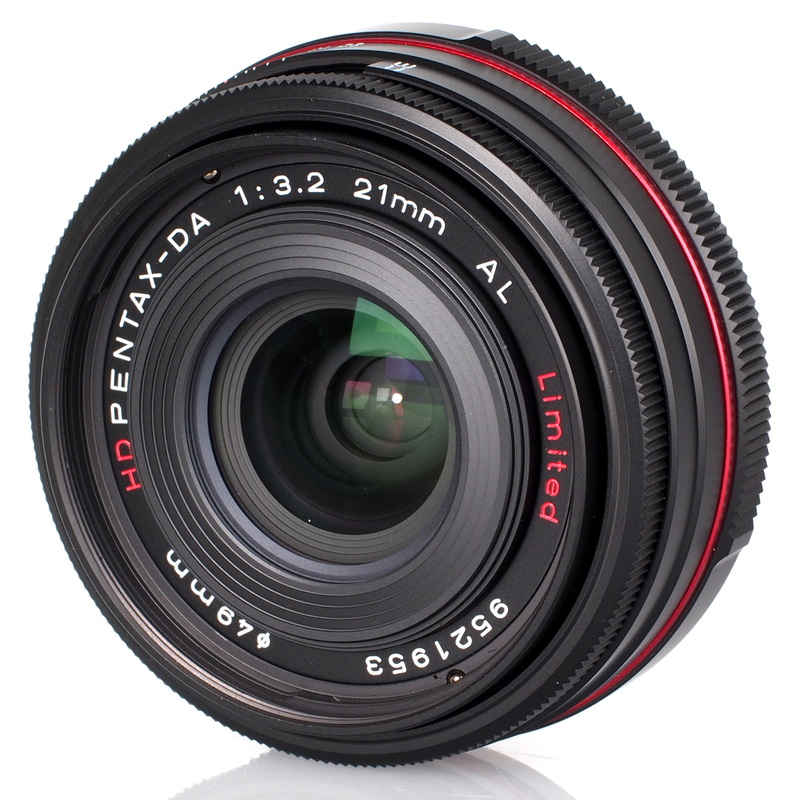 This wide angle lens provides an angle of view equivalent to a 31.5mm lens on a 35mm format, when mounted on a Pentax Digital SLR. It costs around £590 and and is part of the premium Pentax Limited range. Typical for lenses from the Pentax Limited range, build quality is excellent, although this lens isn't heavy, weighing around 134g. It's compact too, at only 2.5cm long. 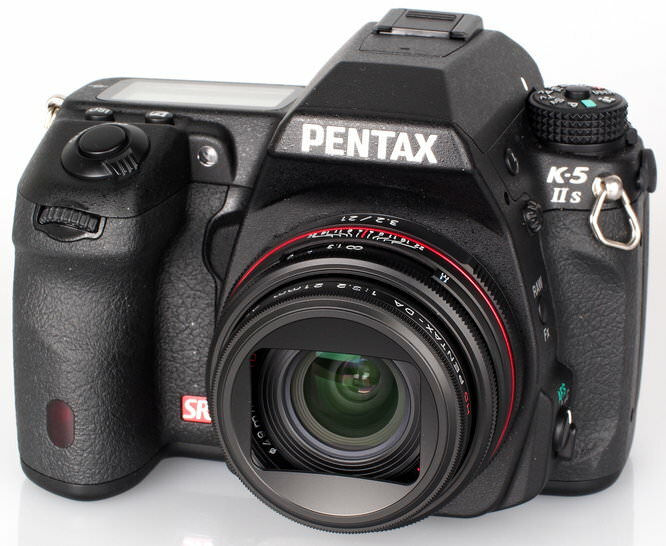 The lens makes a great travel combination with the Pentax K-5 IIs body used for testing, and it will feel right at home smaller Pentax K-mount cameras also. Focusing is not performed internally, so the lens barrel extends by around five millimetres at the closest focusing distance. 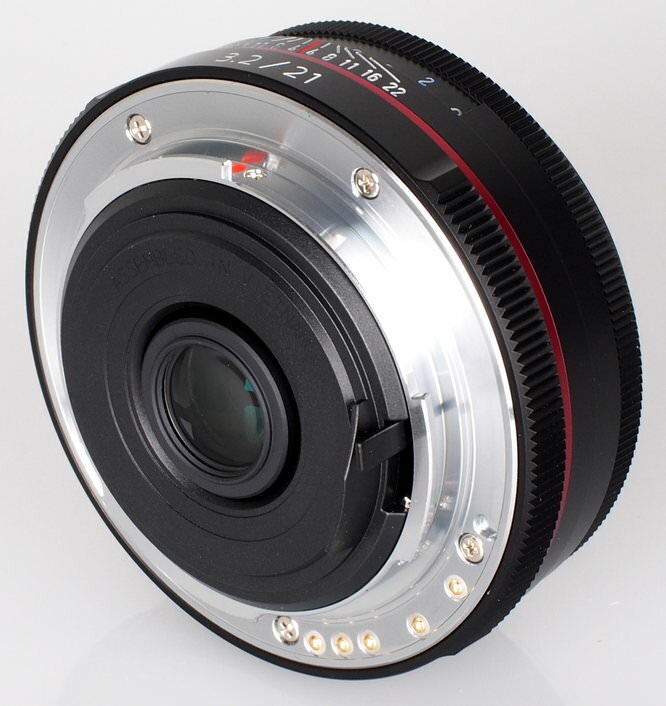 Even so, the filter ring does not rotate, which makes it perfect for use with polarising and graduated filters. A compact rectangular shade clips into the 49mm filter thread, which keeps the overall size to a minimum, whilst still providing decent shade for the lens. The manual focusing ring rotates during auto-focus, so care may need to be taken to it catching your fingers during autofocus. Manual focusing action is smooth and well damped, which makes applying fine adjustments a pleasure. A useful hyperfocal scale is marked on the lens barrel, which is handy. The Pentax 'Quick Shift' focusing system has been implemented on this lens, which means manual adjustments can be applied once the lens has focused automatically. 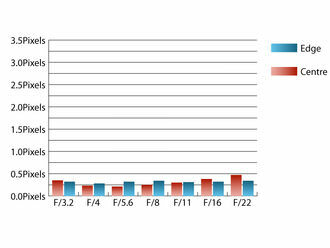 Auto focus is screw-driven, so it generates more noise than newer silent focusing lenses do. Even so, it locks onto subjects quickly and accurately. The minimum focus distance of 20cm is great for shooting in claustrophobic situations. A maximum magnification of 0.17x is possible, which may not be best suited for frame filling close ups images of small subjects. Sharpness is already very good in the centre of the frame at maximum aperture, although clarity towards the edges of the frame falls just short of good levels at this aperture. 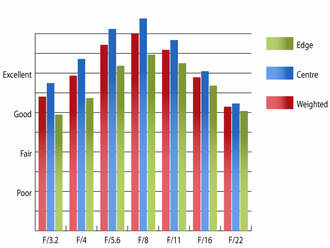 Stopping down improves sharpness across the frame, with peak clarity being achieved at f/8. Here sharpness is outstanding across the frame. 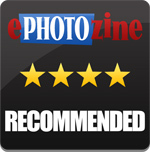 For this review, the lens was tested on a Pentax K-IIs using Imatest. 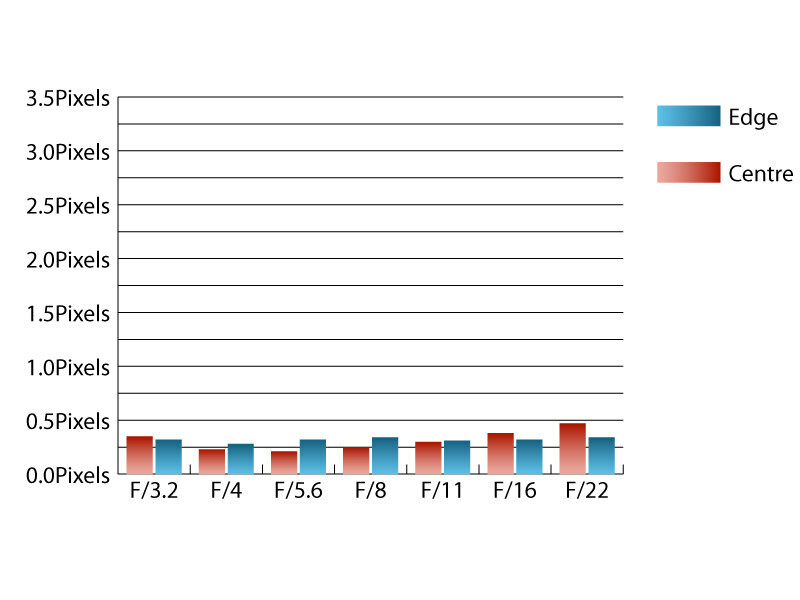 Chromatic aberrations are well controlled, only just exceeding a quarter of a pixel width at most apertures. This low level of fringing will be difficult to spot, even along high contrast edges. Falloff of illumination is reasonably controlled for a wide angle lens. At f/3.2 the corners of the frame are 1.48 stops darker than the image centre and visually uniform illumination is achieved with the lens stopped down to f/5.6 or beyond. Distortion is reasonably high for a lens of this type. Imatest detected 2.04% barrel distortion, which may become apparent with straight lines placed parallel to the edges of the frame. Fortunately the distortion pattern is uniform across the frame, which should make it relatively straightforward to apply corrections in image editing software afterwards. During testing, this lens proved itself very resistant to flare and contrast levels remain good, even when shooting into the light. The rectangular shade does a decent job of shielding the lens from extraneous light that may cause issues. With this lens being one of the 'Limited' line from Pentax, it is priced slightly higher than their standard line of lenses at around £590. However, the older, version that lacks the HD coatings is still available from some retailers at around £399, which is a fair saving, so long as performance is similar. On the whole, this is a very decent lens, capable of producing very high quality images. The premium build and handling alone are probably worth the slightly higher price this lens carries. Those looking for a moderately wide angle lens or their Pentax SLR should certainly keep this lens in mind. The HD Pentax-DA 21mm f/3.2 AL Limited is capable of producing very high quality images.